I tried to find a few cute and affordable pieces that incorporate the trend and I’ve included my picks above. 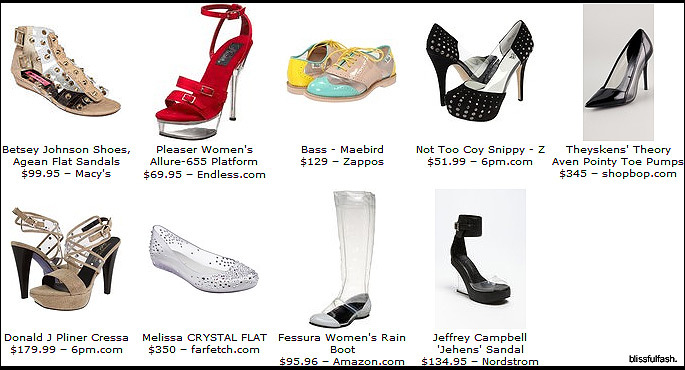 I especially love the Betsey Johnson Agean Flat Sandals and the Donald J. Plinar Cressa shoe. 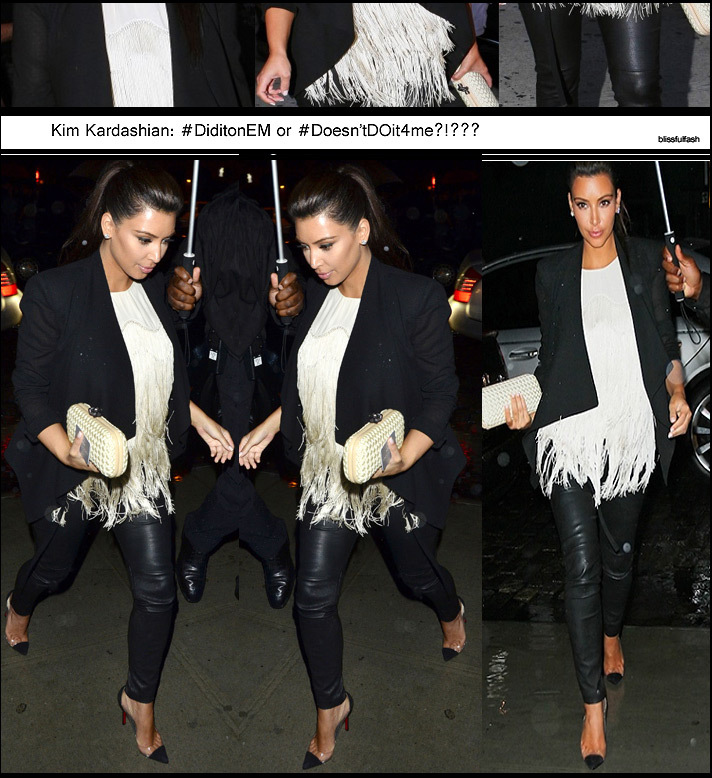 I also chose the last look, the Theyskens’ Theory Aven Pointy Toe Pumps as an alternative to Kim K’s latest favorite louie pumps. What do you guys think of this trend and my picks? Will you be incorporating this trend into your summer wardrobe? ?